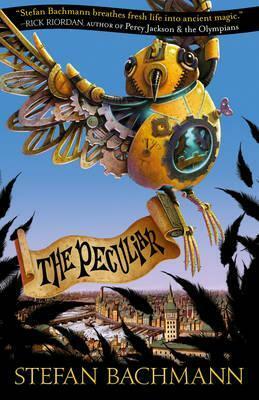 The Peculiar by Stefan Bachmann was a real joy to read. I loved the blend of fantasy and steampunk, with fairies and clockwork birds leading the tale. Both the adult and child characters came across well and the pacing of the piece was beautifully executed, always leaving me eager to turn the page. Many things about this book bought a smile to my face, except the ending, which left me wanting more and I certainly hope that Mr Bachmann has a second book planned to continue the tale. The world he has created for The Peculiar definitely deserves another outing and I am keen to see more of the fairy world as well. Although perhaps aimed mostly at middle grade readers, this is such an entertaining and delightful read it will also appeal to YA and adult readers, too, in the same way that a series like Harry Potter does.